Technical Opening are a specialist emergency locksmith in Glasgow, a professional security company offering a range of mobile locksmith services and security system solutions. 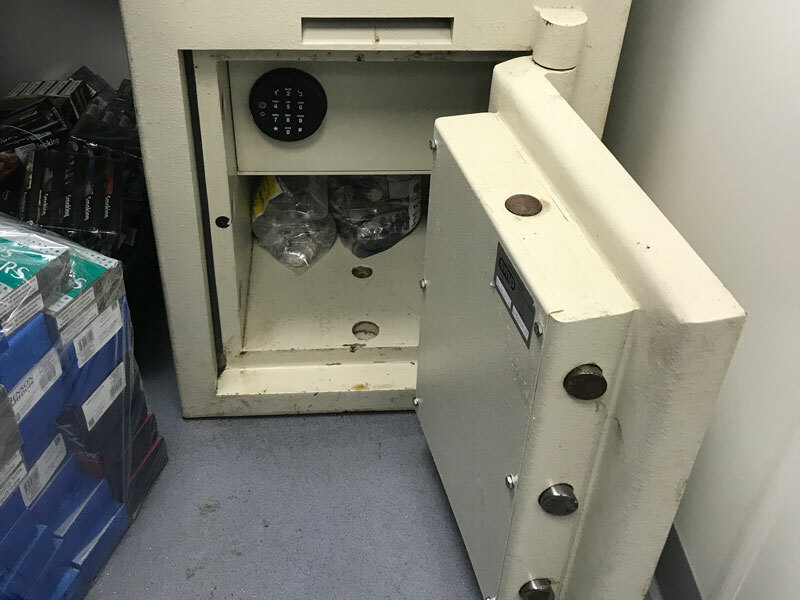 We are also one of very few companies in Scotland to offer extensive safe opening – safecracking capabilities and safe repair work. If you are looking for a locksmith Glasgow, then the team at Technical Opening, believe in getting the job done right first time. We set our sights on offering the highest levels of professional emergency locksmith skills, across Scotland and the wider UK. To achieve this aim we have invested heavily in training with leading professionals, recognised within the industry and in specialist equipment. We are dedicated to doing what we do well. We offer a 24 hours Opening/Lockout Service. For the majority of domestic and commercial jobs, Technical Opening, locksmith Glasgow, do not charge any form of call out fee. This is only usually required for the more serious Safe Opening tasks, where the safe manufacturer, model, condition and nature of the problem is perhaps unknown, and may need to be established first. WE are an emergancy locksmith in Glasgow, and if you have been accurate in describing the lock problem, or security task that you require then you will be charged what we quote. We only supply quality locks and charge RRP, typically Assa Abloy Mul-T-Lock brand, or the Premier 2000 XT and Premier 3000+ brands. We expect to be able to pick open 5/6 Pin Cylinder Locks, and BS Mortice Locks, and some of the more exotic brands without fuss. In cases where a mechanical problem exists we may need to tackle the problem another way but we'll get you in fast and with efficiency. The team at Technical Opening, locksmith Glasgow are commited to customer care, we provide proffestional, diligent and a discreet service to all your needs.we are aware of the levels of security and safety are paramount to all our customers, no matter how big or small the job. Technical support are the emergancy locksmiths, Glasgow. For all your mobile locksmith services and security system support. Technical Opening, locksmith Glasgow, is operated by Carl and Caroline Elsegood, who have both trained in multiple disciplines of Locksmithing after military careers. Carl is a former Major in the British Army, who spent much of his career as an Ammunition Technical Officer, (ATO) principally engaged in Counter-Terrorist Bomb Disposal. Caroline is a former Queen Alexandra's Royal Army Nursing Corps, (QARANC) officer who is adept at lock picking in her own right but is the driving force behind the workshop facility. We have both undertaken Criminal Records Bureau (CRB) or Police Scotland Enhanced Disclosure checks. Throughout Military Service we have as such been subjected to higher levels of Security Clearance. We feel that this is an important assurance in a field of security that is not subject to any form of regulation within the UK! All our associate engineers hold Police Scotland Disclosure Checks. We are also covered by Locksure Insurance with £5 Million Indemnity. Report review We were absolutely delighted with the service provided by Carl. The speed of response, courtesy and professionalism were first class and the cost was certainly value for money. I would highly recommend this company! Thanks for rescuing my old dad! What a start to our New Year. Lucky to have found Elsegood Technical openings in the Local Biz directory. We can't thank you enough especially on New Year's day! Appreciate how quickly you responded. Was very pleased with the fast response and professionalism in which Carl allowed me access to my house after I lost my keys. I would highly recommend Technical Opening if you ever find yourself in a similar predicament. Thanks Carl.